Have you always aspired to draw cartoons and manga like the professionals? Do you want to learn how to draw cartoons and manga? 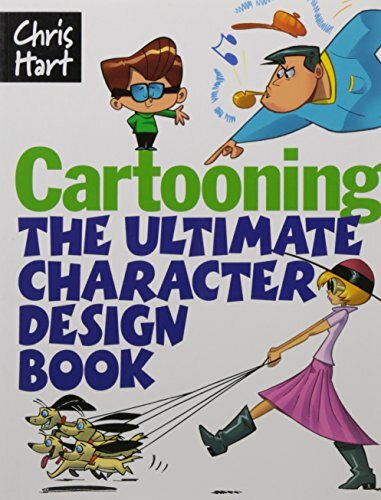 If so, this article will help you find the tools you need, and the instruction available for both beginning cartoon artists and more experienced professional artists. Cartooning is a long held artist profession that has developed over a long history, but still is a viable profession. Many of the old time traditional cartoon heroes are now being made into films like Spiderman, while new manga heroes emerge everyday, that are made into television cartoon shows for kids and adults. And drawing and watching cartoons is not just for kids. Both traditional cartoons and manga and anime have a large adult following both in traditional print formats and online. 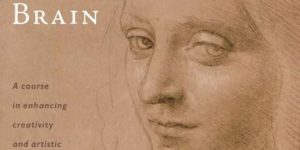 If you are looking for some excellent how to draw books, one of the best teachers is author and artist Christopher Hart. 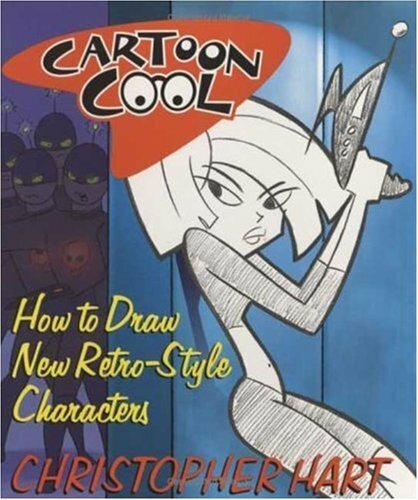 He has several excellent how to draw books, including the one pictured below, Cartoon Cool. While those of us who grew up with the mostly American style cartoons still are drawn to them, there is still a sub-genre of American style cartoon heroes that is prevalent in the cartoon artist community. American cartoon heroes while having very similar names, like Batman, Superman, and Spiderman, do not look exactly the same as they did when we were kids. Some of the changes are due to better technology in both computer graphics, and artist art supplies, and some is the change in the characterization of some of the best known figures. The rebirth or rediscovery of characters like Wolverine, a classic from the Marvel list of heroes, is an example. Audiences now are looking for heroes like Wolverine, who are fatally flawed, yet still heroic, fighting against the human odds of love and despair, and the timeless issues of racism, and hatred of the unknown. So when drawing these traditional American cartoon characters today, the colors are much darker and the figures more angular than the original drawings. Some of this is also influenced by the popularity of Japanese manga. Do you remember a cartoon world before manga? My children have never lived in a world before manga, and manga and anime (its animated counterpart) have taken over the entire line up of children’s cartoons on Saturday mornings and weekday afternoons, except for the revival of some retro cartoons like Scooby Doo. Both teenagers and adults read manga the same way we devoured traditional comic books as teenagers, and manga has become the leading cartoon style for young children, teenagers, and young adults, with a devout cult following and online fan fiction websites. Manga is both more realistic looking than traditional cartoons, and also more idealistic. The characters look more like real people, but an idealized version of them, especially in the more romantic manga aimed for teenage girls. Manga has a completely stylized look, and is much more rigid in the drawing of its characters as opposed to traditional comics. Manga commands a huge and still growing audience, and this is where a very lucrative market is for drawing cartoons. 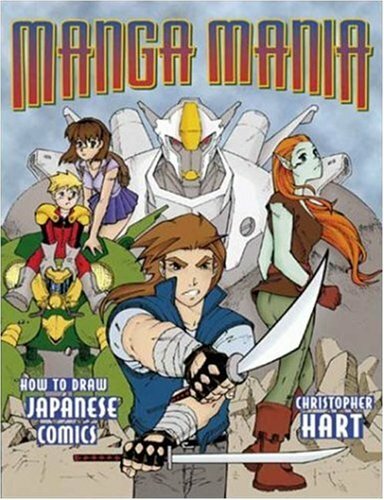 This was the original manga how to draw book by Christopher Hart which has sold millions. There are now several other companion books that you can research on Amazon. Remember those cartoon characters from your teens? I find it extremely funny that along with all of the other retro styling that is popular right now, retro home decor, retro clothing, and retro jewelry, we have also seen a large comeback of some retro cartoon characters. The most obvious cartoon character to reemerge is Scooby Doo and the entire gang, Freddie, Velma, Daphne, Shaggy, and of course, their Mystery Machine. I loved Scooby Doo as a kid, and it is a lot of fun to see the old episodes. But now new episodes have been made, including cartoon episodes of the gang as young children, and large screen major Scooby Doo movies. So what this points out, is that retro cartooning is also in, as well as retro everything else, and you can really find a great niche drawing and publishing retro characters. After all, Scooby Doo is the epitome of the 70’s, why not do a disco cartoon? Christopher Hart talks about his career biography on Amazon which you can read by clicking on the link in the first section. You can read his journey to the inspiration he is now, but my favorite quote is the one below. Thank you so very much for letting me offer some inspiration to you in your art adventures. 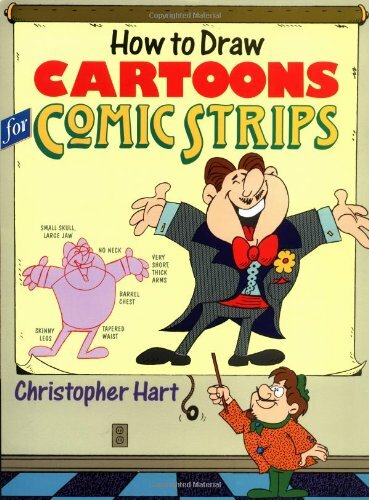 Although Christopher Hart has written many how to draw cartoon and manga books since this one, it is still a great read and instruction book on how to draw comics.